Junior Blasters: (Aged 5-7 years) Registration for this season is OPEN. Master Blasters: (Aged 7-9 years) Registration for this season is OPEN. 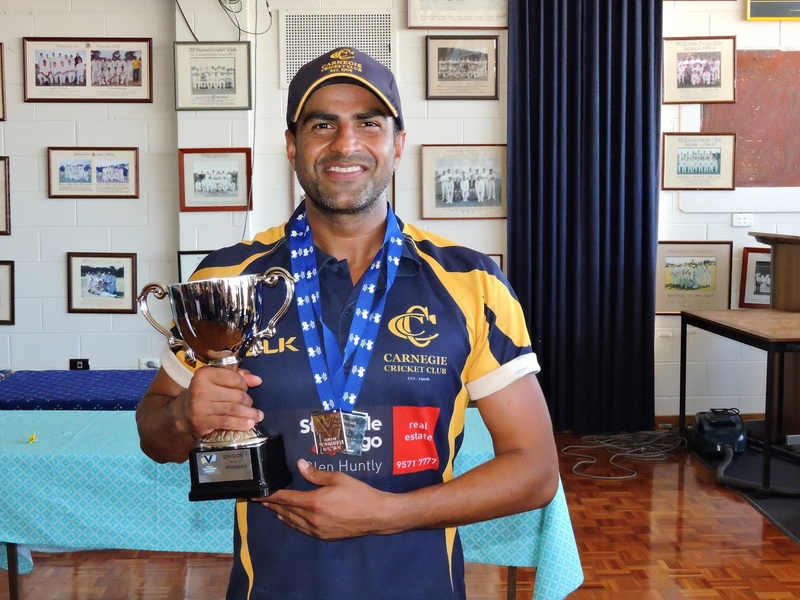 Carnegie Cricket Club is celebrating after landing a record 5 senior Premierships in the 2018/19 season. 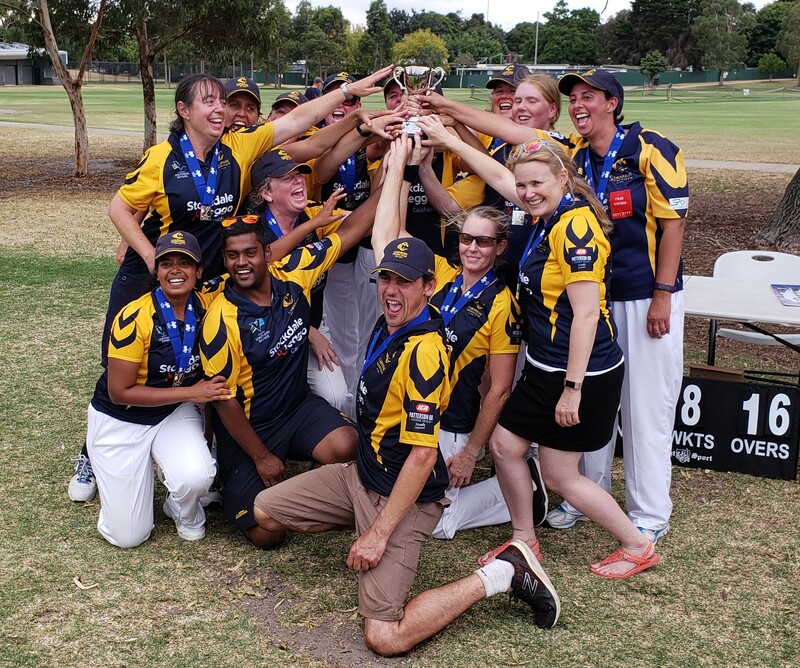 The club won Premierships in Cricket Southern Bayside (CSB) Women’s Division 1 and Men’s Division 3 and 4 before adding the Mercantile Cricket Association (MCA) C South and D Saturday Premierships last weekend. This was in addition to the White Ball Premiership in CSB Division 3 earlier this year. The club also had losing Grand Finalists in MCA D Sunday, and were finalists in the CSB Championship and MCA A Sunday Division. 5 Premierships is a new record for Carnegie, a club which has existed since 1906. 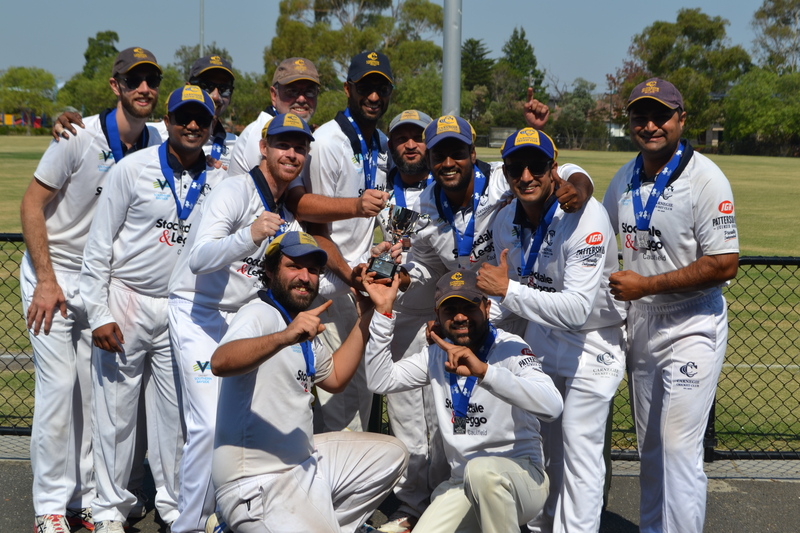 The Carnegie Second XI celebrate the 2019-19 CSB Division 3 Premiership. Quotes attributable to Pat O’Shannessy, President. Quotes attributable to Ajay Bhatt, Head Coach. Quotes attributable to Penny Callaghan, Women’s Captain and Junior Coordinator . The Carnegie women’s side made history on Sunday winning our first ever women’s premiership. The victory took place in CSB Division 1 against Omega CC. Go the Women and Go Neggies! Due to the Carnegie Women’s Team making it into the Grand Final to be played on Sunday the 3rd of March, 2019,our next major social function, The Major Raffle, has been rescheduled to Saturday 23rd March at Koornang Park. Tickets are $60 and can be bought online through the website http://carnegiecc.com/shop/ or behind the bar at the club. Please ensure that you buy a ticket and bring a friend or 2 along to enjoy the day as these events are very important fundraisers and great fun for all who attend. The ticket includes entry to the Major Draw with a prize of $1500 cash, food and drinks from 1pm-4pm. PAST PLAYERS DAY, FEBRUARY 2nd, 7:30pm, $35 includes dinner and first drink free (beer/wine/soft drink). Join us for a celebration of the history of the Carnegie Cricket Club. 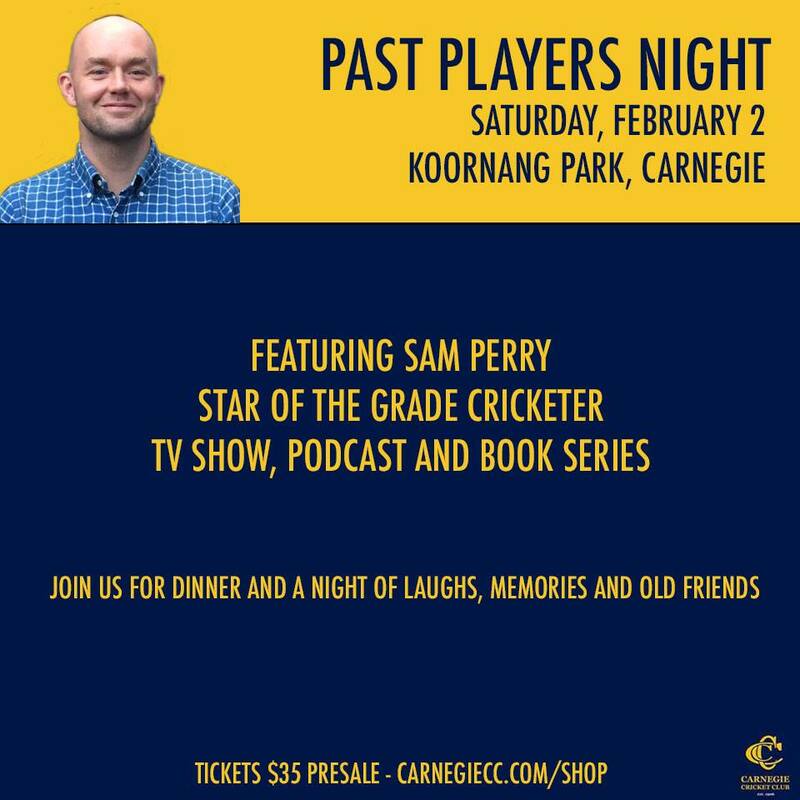 Join with past and current players of the Carnegie Cricket Club to relive some of our great moments, and hear from Sam Perry – star of the Grade Cricketer TV show, podcast and book series. 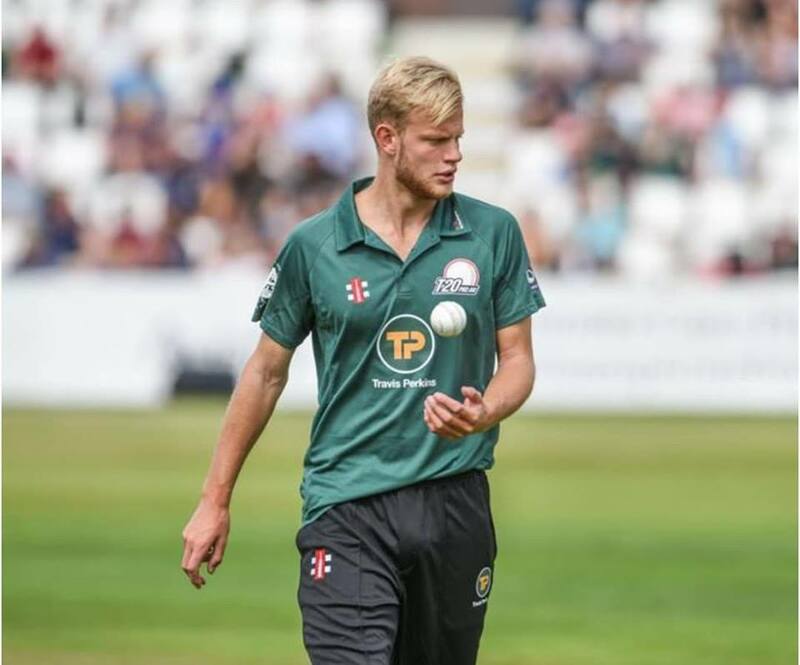 “Sam Perry is a broadcaster, speaker, writer, and recovering leg-spinner. Tiring of life as a corporate automaton, and after too many years playing cricket in suburban outposts across Australia, Sam founded The Grade Cricketer. Along with two friends, Dave Edwards and Ian Higgins, this anonymous everyman provides satirical reflections on Australian grassroots cricket, manifesting in two books, a podcast, live shows and most recently a TV production on Channel Seven. 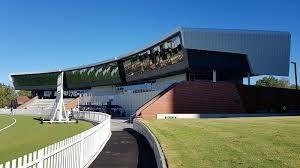 Pre-Season training moves to the fantastic new Junction Oval indoor facility for the next 3 Sundays in a row starting from this Sunday the 12th of August. 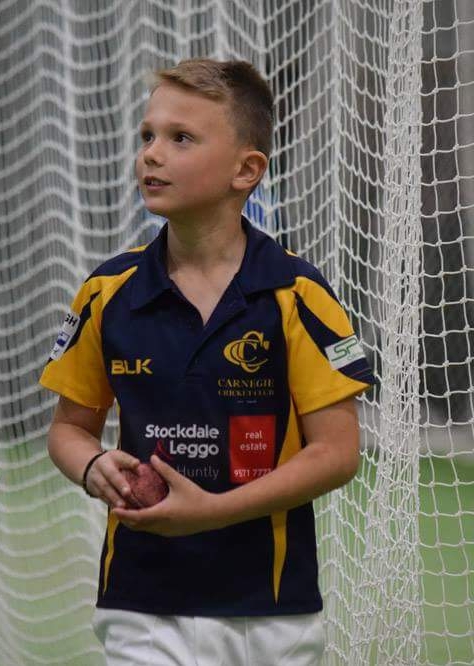 (Thursday nights are still at Sandown Indoor) The sessions run from 10am till 12pm but please make sure you are at the facility early so we start right on time. 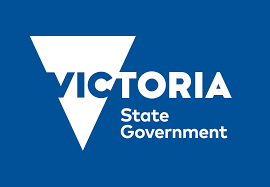 Car parking is provided by Parks Victoria at a cost of $5.20. Don’t miss this opportunity to train at this very high standard facility. To check on the full schedule scroll down the front page of the website for all the pre-Season dates. 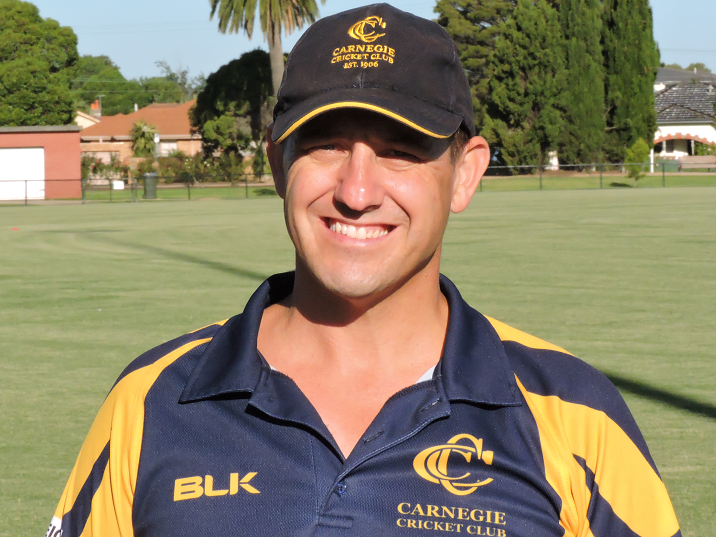 Carnegie CC is pleased to announce that Johnny Young will be fitness coach again for this coming season. Johnny will continue to put the senior players through his rigorous fitness and strength building sessions. The players really enjoyed pushing themselves last season and at the same time increasing their fitness levels. This season Johnny will be assisted by young gun Liam Corbett, Liam has been working hard on his own fitness on his journey to a high level football career and is a running machine. See you at our first Pre-Season session this Thursday night at Sandown Sports Centre. Junction Oval Citi Power Centre, Lakeside Drive StKilda (enter on foot via Gate 2 and enter via the main level 1 entrance. If gate 2 is locked or entrance door is locked call reception 9085 4000 to gain entrance. Note: There is a large lobby for players to gather inside prior to the schedule start time. Thanks to the hard work of Marnie Harper CCC has been successful in receiving a Victorian Government Community Shade Grant. We applied for 2 collapsible marquees with walls for use at Lord reserve for Senior and Junior Cricket matches. These will keep players out of the direct sun whilst off the field and make getting changed during matches more comfortable. Both home and away sides playing at Lord will have access to 1 marquee each. They will be easy to put up and fold away. They will also carry the CCC logo and branding. Also as part of the grant we will also receive a bulk quantity of sun screen and other sun smart products to keep all our players safe. The recruitment committee has been very busy for the past 6 months working towards getting the best team on the park for the first XI for the coming season. We have also filled the senior coaching vacancy left by senior coach Ash Chawla departing for work reasons. We have appointed Ajay Bhatt as senior coach for 2018/19. Ajay was assistant coach at Premier Club Prahran last season. 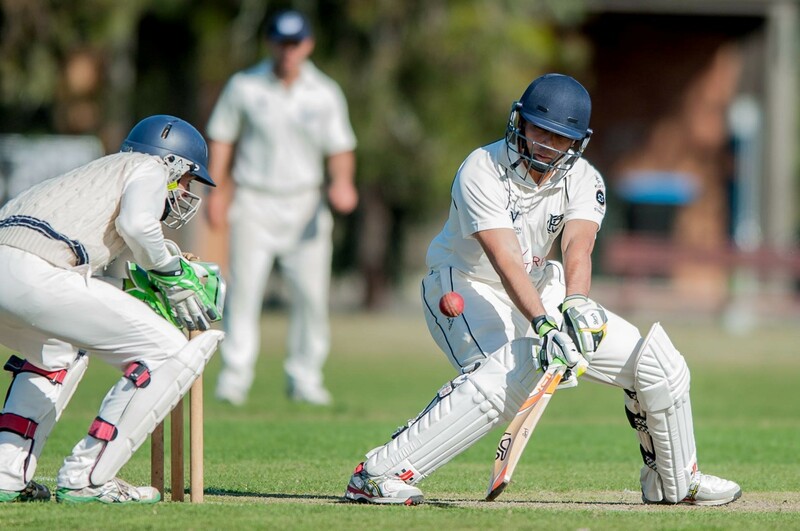 Ajay has heavily involved with junior development at Prahran so he will be great with our wealth of junior players that are starting to play senior cricket. Ajay is a very experienced high level coach and continue our clubs focus on coaching and player development. He suits a large growing club like CCC perfectly. He is also a very experienced district and sub district player and will take plenty of wickets in the first XI. After a successful first season as captain of the First XI last season, Vinay Tripathi has agreed to skipper the side again. He also brings a wealth of experience to the roll with prior district cricket and Victorian 2nd XI experience. Vinay also had a top season in the CSB last year. Jon Burden is joining us from the UK this season. Jon is a tall quick opening bowler that is keen to take wickets in the CSB. Jon has played County 2nd XI this season and will come here in good form. Further announcements in regards Assistant coaches to come soon.